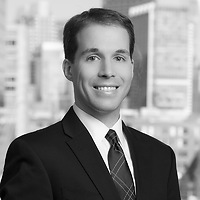 Rory P. Pheiffer, a partner and the deputy chair of Nutter’s Intellectual Property Department, concluded his term as president of the Boston Patent Law Association (BPLA) on December 5. He will serve an eighth and final year on the board. Previously, Rory served as vice president of the BPLA and as editor-in-chief of the quarterly BPLA newsletter. He has also served as the BPLA’s treasurer, secretary, and two years as a board member. Rory co-chaired the New Lawyers and Law Students committee for one year and the Invented Here! committee for seven years. Founded in 1924, the BPLA is a nonprofit association that includes more than 1,000 IP professionals across New England. The BPLA is dedicated to provide educational programs and a forum for the interchange of ideas and information concerning patent, trademark, and copyright laws.